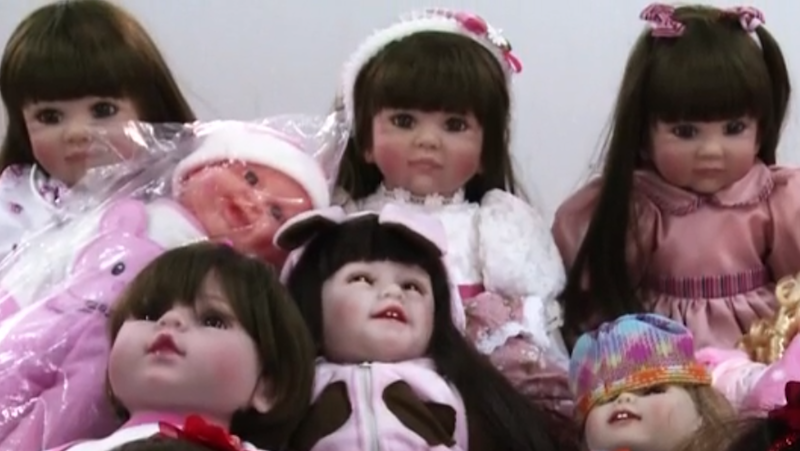 There’s a hot new trend in Thailand where people buy lifelike dolls they believe will bring good fortune. And it’s not as simple as just having one around—owners have been treating the dolls, called Luk Thep, or “child angels” as if they were real children. This sometimes means the dolls even gets their own plane seats. Thai Smile Airways told its employees that passengers were allowed to purchase a separate seat for their doll on flights, as well as order it snacks. Airline officials clarified details, reports BBC. “Based on international aviation rules, passengers are people. So airlines aren’t allowed to sell tickets for dolls,” said a spokesman for the Civil Aviation Authority of Thailand. However, ticket holders can purchase a second seat under their own name for the doll. Luk Thep have received other edible perks besides in-flight snacks. For instance, one eatery in Bangkok advertises a doll-friendly special. “In the past month, more than 30 customers have brought their Luk Thep to eat at Neta Grill,” the restaurant’s Facebook page states. Dolls can eat from the children’s menu as long as all the food ordered is finished. It’s like the Thai version of the American Girl Cafe! According to CNN, the dolls are actually imported from America and go through a sort of initiation ceremony when they arrive. Buddhist monks perform a blessing in which a wandering spirit becomes the inhabitant of the doll. If you’ve seen horror movies like Child’s Play and Annabelle, this is basically what you don’t want to happen. These supposed good luck charms are not cheap, either. Prices for the dolls start at 3,500 baht ($97) and can go up to 13,000 baht ($362).